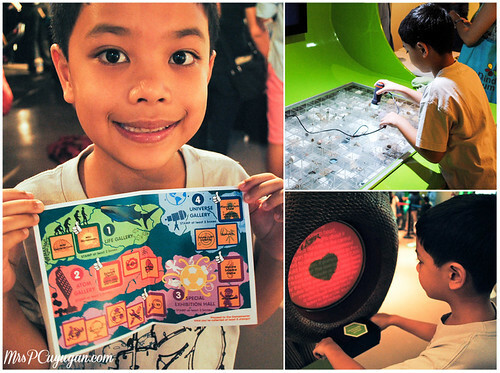 The other Saturday, the boys picked me up from my mommy morning at ECHOYoga Shala so that we could go to The Mind Museum’s Media Family Day to launch their summer programs and celebrate their second anniversary. 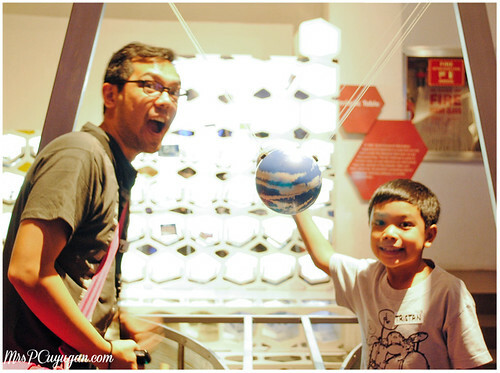 As soon as I said the words Mind Museum to my two guys, they got super excited because we never got to visit the place before, and they were both really looking forward to the experience. It was thanks to my super amazing Mommy Bloggers Philippines group that we were invited to this event, so I was also looking forward to finally meeting some of my online friends in real life. I love how the agency behind this event was really so organized. I received my invitation through email, and they made sure to get all of our names. They also provided us with a parking pass, which is a godsend if you know what parking is like at BGC. When we arrived, the kiddo and I registered while MrC went to park. We were given a small parcel that reminded me of what Snoopy (as in the dog) carries around with him when he travels. This, apparently was the actual invite, and inside there was a mini microscope that we needed for the afternoon. Of course, the little boy immediately declared that all of the contents belonged to him. We took a quick look around when we arrived, and then we decided to get something to eat while waiting for the program to begin so that we could go on and explore right after. 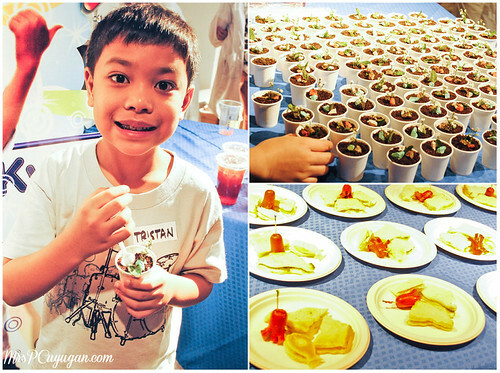 There was a lot of food, all of which was yummy and fun to eat. Kyle’s Lab served nice sandwiches, tiramisu flower pots (which were both yummy and brilliant, if you ask me), and this super cool iced tea with spheres that burst in your mouth. I thought at first that they were sago, so when they erupted in my mouth, I got really excited like a little kid. Hahaha I’m mababaw like that. There also were panizzas and nachos from Uncle Cheffy, cupcakes, cookies and truffles from Sophie’s Mom, and ever-so-yummy Sebastian’s Ice Cream. So glad MrC had his camera, too. More photos! 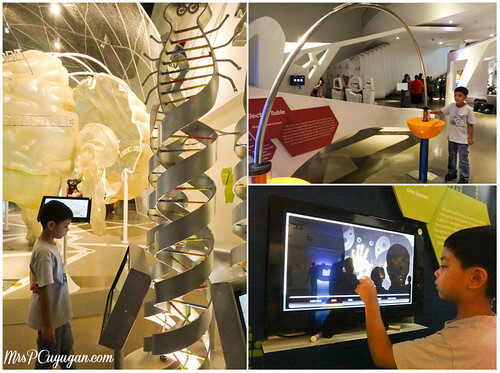 After a quick program, where I learned that most of the exhibits are either made or assembled locally (amazeballs! ), we were given a Wide-Eyed Wanderer’s Exploration Passport which had a list of tasks that we were supposed to complete. The first to complete their assigned tasks would win a prize. 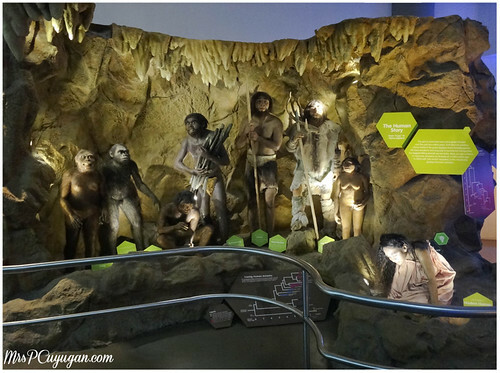 Right off the bat, I knew we weren’t going to be one of the first because it was difficult to not get sidetracked by all the other things to see, do and read all over the museum. So we decided to take our time and enjoy all of the areas we had to visit instead of rush through them. I think that our experience was worth way more than any prize. Mind Museum representatives were stationed all over the area, putting stickers on our passport for completed tasks, assisting us whenever needed and answering our questions. I love how they are all so knowledgeable about the exhibits and displays, and also how they really take the time to explain things to you. I think that this is super important so that kids and adults who come to visit really learn a lot. And there really is so much information you can pick up in just one afternoon at The Mind Museum. In fact, the boys still weren’t satisfied with time we spent there, and they already want to go back to see the stuff they missed. One of my favorite stops was the new Space Shell Planetarium where we watched the newest show that they offer, “Back to the Moon for Good”. It is a story about the Google Lunar Xprize, a space competition where teams race to be the first people to successfully make it back to the moon. 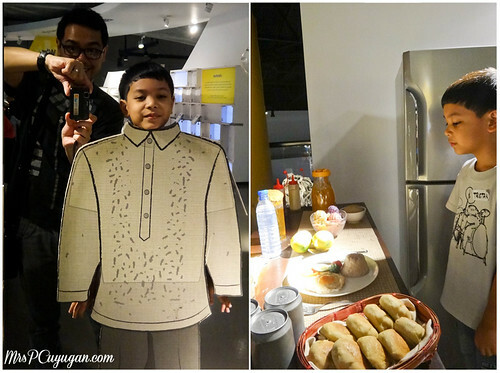 Apart from the areas around the museum that we needed to visit, our passport also required us to go to each of the exhibit booths inside the function area. 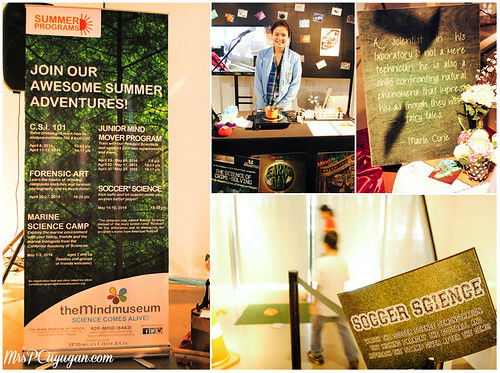 At these booths, we learned about the summer activities and classes being offered by The Mind Museum. This is a great option for parents who are still thinking about where to enroll your kids for the summer, especially if yours are older kids who are into learning and discovery. Here’s a list of the activities coming up this summer, as well as their corresponding schedules and rates. 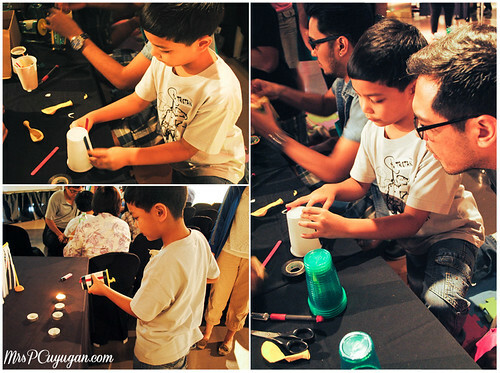 For Summer Program FAQs and full program details, email summerprograms@themindmuseum.org. Yay I found photos of me in MrC’s camera! MrC tells me that the kitchen display is made of fiberglass or something like that. Looks so real, right? The two eventually got tired, and so it was time to head home. On our way towards the museum exit though, I remembered that I hadn’t seen Stan. 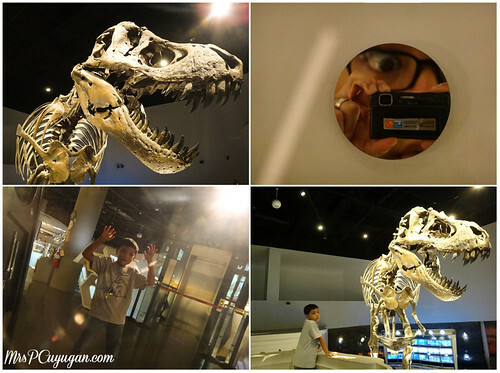 Stan is the first T-Rex exhibit in the Philippines, and is cast from real dinosaur fossils. Super cool. 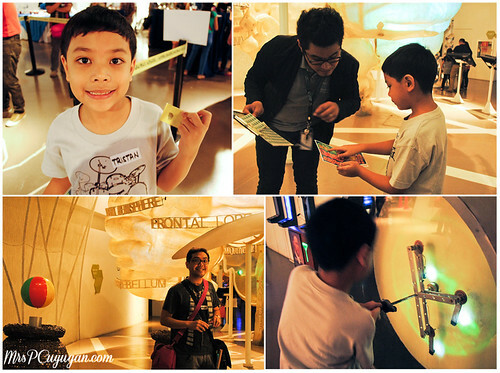 Like I said, the boys are really excited to go back to The Mind Museum. Lucky for us, they are offering a special Summer Day Pass Rate of P450/person for adults, children and private school students, and P150/person for teachers and public school students. What’s even luckier is The Mind Museum gave us a special token of four all-day passes that we can use on our next visit. Now, because I love you guys, I’m thinking of giving away two of these passes to one lucky blog reader, maybe as a giveaway on Little MrC’s birthday. What do you guys think? Who wants to go to The Mind Museum? Hey, hey, hey! 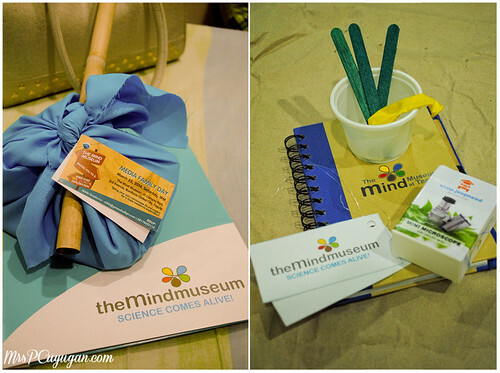 I’m giving away 2 tickets to The Mind Museum to celebrate Little MrC’s birthday! Click HERE to join. Giveaway ends on April 20, 2014! It looks like a really fun event! 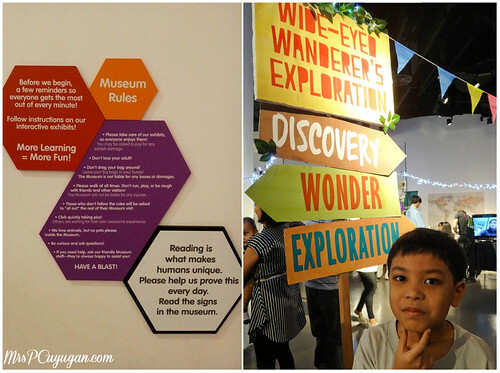 We haven’t been to The Mind Museum yet and we’re planning in July when hubby comes from overseas work. I want to go there with Ykaie as a family. I can imagine you tired from going after your big boy(s). I have this wide grin while I’m reading your post because I can see the excitement all over your son’s face. haha. He looks like he’s won the lottery. And I saw this flower pots of Kyle from an IG post. I dunno who posted it but I researched for it because they looked like pots to me only to find out they’re tiramisu, Brilliant! I want to bring my boy there too (because I haven’t been there yet) but he’s only four. He might run wild and get tired lang. 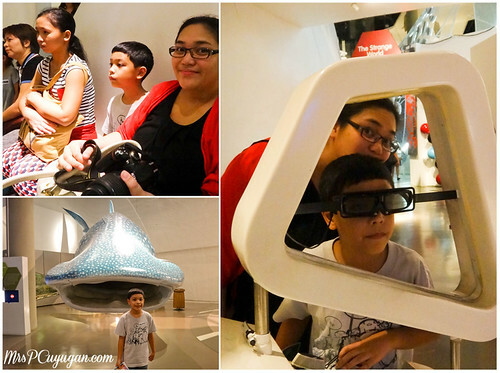 a trip to the museum is always fun! 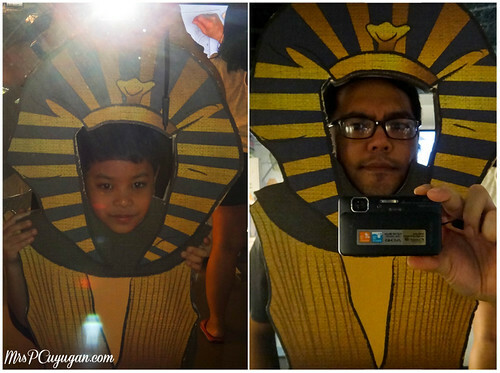 in a few more years, my son will be old enough for us to explore more museums! 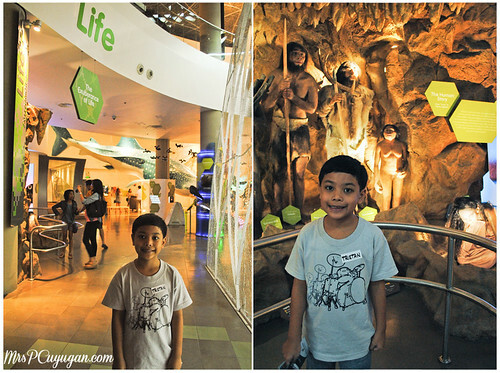 I really wanna take my boy nga to National Museum also coz he hasn’t been there yet. I really cherish these adventures that the boys and I have together. It’s something I didn’t get to do much when I was still a working mom, so now I’m really making up for it. I think places like this deserves to be promoted. It is good for kids and the whole family. This is definitely a whole lot better than hanging out in malls. Totally agree with you there, Mitch! I’ve been wanting to go to the Mind Museum. It’s just that I have apprehensions going to the BGC area. Oh Bong had a lot of fun. At one point, we actually lost him coz he drifted off on his own hahaha!